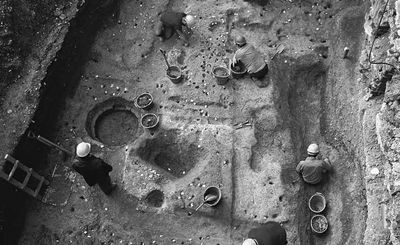 The archive, whether finds, documentation or both, is a key product of archaeological investigation and it may be the only record of a historical site destroyed by development. However the field of archaeological archives is one beset by many challenges, some of which are proving difficult to overcome, such as a lack of storage facilities and good public access to the resource. The Archaeological Archives Forum was established in 2002 to link together in partnership all major parties with an interest in archaeological archives, in order that common policies and practice can be developed and applied, and to identify the courses of action necessary to further best practice in the field of archaeological archives, and to effect the means to achieve this action.